Deputy Attorney General says Defense Minister lacks authority to cancel recognition of pre-military yeshiva over rabbi's remarks on IDF. Defense Ministry Director-General Udi Adam cancelled on Wednesday afternoon a scheduled hearing with Rabbi Eli Sadan, the director of the Eli pre-military yeshiva over the threat that the government will retract its recognition of the hesder section of the yeshiva due to comments made by senior Rabbi Yigal Levinstein. A letter addressed to Rabbi Sadan from the Defense Ministry reads: "In view of the position of the Attorney General, I hereby inform you of the cancellation of the hearing that was set for you regarding the removal of the hesder yeshiva from the list of recognized yeshivas in light of the harsh statements made by Rabbi Yigal Levinstein." Rabbi Sadan was summoned in the letter to a separate hearing on the potential removal of benefits from the yeshiva, which allows its students to defer their army service. 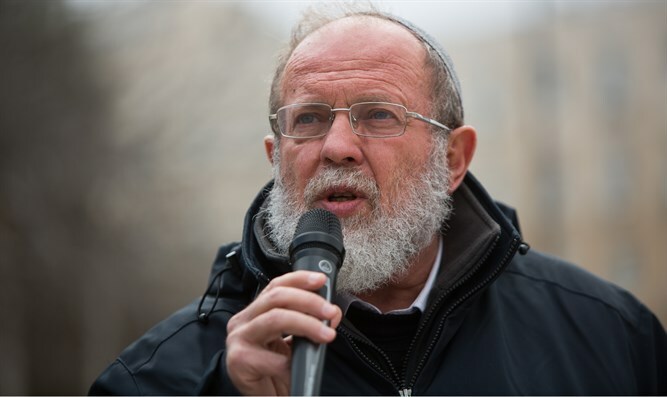 Attorney General Avichai Mandelblit prevented Defense Minister Avigdor Liberman from holding a hearing over Rabbi Levinstein's remarks, in which he harshly criticized the policy of creating mixed gender combat units in the IDF and women serving as soldiers. Deputy Attorney General Dina Silber submitted an opinion informing Liberman that he was not authorized to hold a hearing for Rabbi Levinstein, because the proposed sanctions on the yeshiva far exceed the reasonable scope for such administrative measures in this case. Zilber also determined that the Defense Minister cannot cancel the recognition of the pre-military preparatory program because this authority is vested in the Education Ministry. Despite her decision, Silber wrote in her letter that "Rabbi Levinstein's remarks are extremely offensive. These are painful statements that hurt and disintegrate the fragile and fragile fabric of Israeli cohesion in the context of the IDF, while undermining the dignity and humiliation of certain sectors of society." Rabbi Levinstein has already clarified his statements and apologized to those whose feelings were hurt..